After letting off steam on the "Blackulem" album, The D.E. has birthed a jazzy, soulful expression of himself. "Fahrenheit Instrumania! 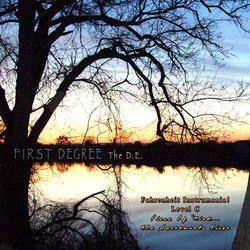 Level C" is the third of the Fahrenheit Instrumental series. With a handful of established producers participating. "Fahrenheit Instrumania! Level C" is the perfect album to kick back and smoke to. "Fahrenheit Instrumania! Level C" features live music and high quality, unique beats.